tkts Ticker Tape « Adafruit Industries – Makers, hackers, artists, designers and engineers! When the network is ready the light shines yellow. When printing is occurring the green light is lit. The red light is lit up to indicate if there is a network error. Adafruit IoT Printer Project Pack “Internet of Things” printer. 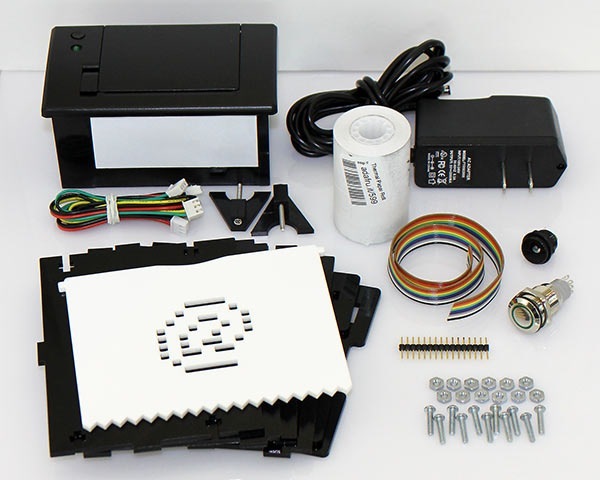 Build an “Internet of Things” connected mini printer that will do your bidding! This is a fun weekend project that comes with a beautiful laser cut case. 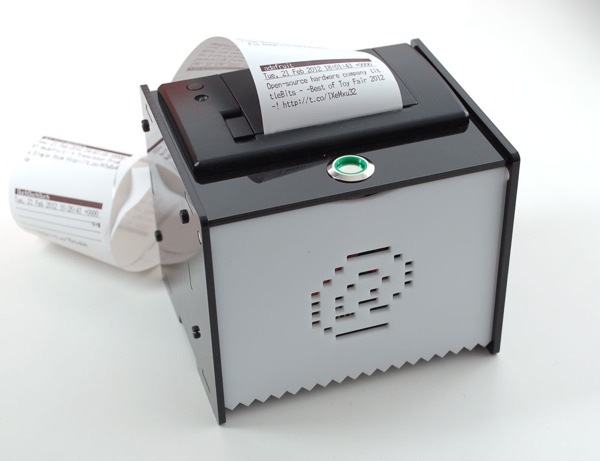 Once assembled, the little printer connects to Ethernet to get Internet data for printing onto 2 1/4″ wide receipt paper. The example sketch we’ve written will connect to Twitter’s search API and retrieve and print tweets according to your requests: you can have it print out tweets from a person, a hashtag, mentioning a word, etc! Once you’ve gotten that working, you can of course easily adapt our sketch to customize the printer. thanks for sharing! I wish I’d had your printer enclosure. Very nice.